Over the years we’ve improved faculty development programming considerably. 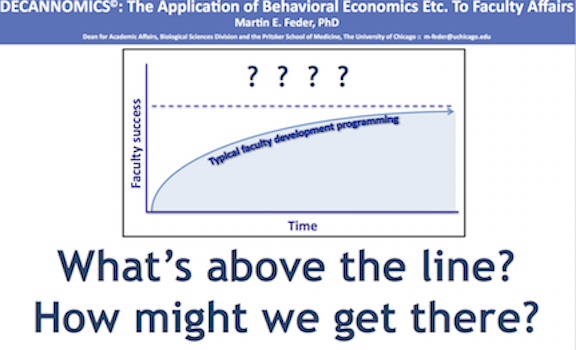 However, while you can LEAD faculty to programs and resources, you CAN’T make them develop. There’s a craft and a science for getting faculty to do what’s in their own best interest. This craft and science is drawn from behavioral economics, psychology, sales and advertising, improvisational comedy, and many other sources. Yogi Berra said: 90% of the game is half mental. I propose that, with respect to faculty affairs, he’s spot on. If you’d like to explore what’s ABOVE THE DOTTED LINE — THE ‘HALF MENTAL’ PORTION, come by poster #39 or grab me in between the sessions.